The UEASU started drafting its first mental health manifesto the day after first-year student Theo Brennan Hulme was found dead in his room earlier this month. Georgina Burchell, the student union's welfare, community and diversity officer, said: "The manifesto is really important and it pulls together a lot of things people are saying on social media. "It makes something productive out of all the emotions people are feeling. "It provides a clear outline to the university about how we think mental health should be managed." The newly-released document, which said it represented students' voices, told how the union was "deeply concerned about the state of NHS provision in Norfolk" and the inadequate rating of the Norfolk and Suffolk Foundation Trust (NSFT). It called for university leaders to help shape NHS strategy for young people's mental health services, lobby for improvements and to set up regular meetings with the mental health trust and other educational institutions. 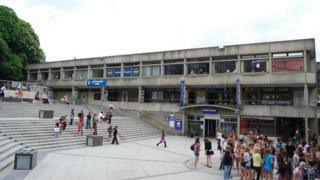 Fears were also voiced that students often had to wait weeks for initial help through the UEA's Student Support Services. It also urged the university to ensure the number of assessments students were set was "mentally taxing... not mentally damaging". Prof Richardson said: "We have recognised the significant increase in demand in wellbeing and mental health services, what we can do, what we must do." The university has already announced an extra £250,000 to pay for improved access to services and wellbeing staff and will spend £1.4m on mental health services from August - a 63% rise on this year's budget.